Ubisoft announced that their newest DLC for Assassin’s Creed Unity, titled “Dead Kings”, will be released on the 13th of January. This DLC will be set in the French city of Saint Denis, which fans of European football might remember was the venue of the 1998 World Cup final. 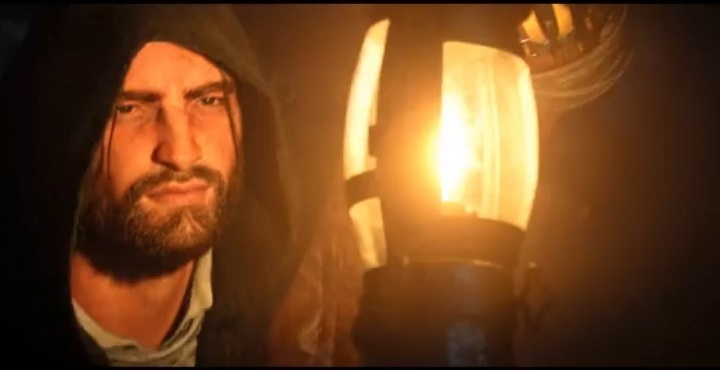 But Unity’s protagonist Arno will not travel to the city to play sports, but rather to explore the catacombs and caves beneath the city, which according to Ubisoft’s marketing blurb “hide the best-kept secrets of the French kings”. And the trailer which you can watch below shows that exploring those catacombs will make for a rather tense and scary experience. Will Dead Kings play more like a survival horror game? One wonders if Arno will encounter the vengeful ghost of King Louis XVI, the last king of France, who was beheaded by an angry mob during the French Revolution. And speaking of angry mobs, Unity’s botched launch sure had plenty of Assassin’s Creed fans feeling disappointed. This is one reason why the Dead Kings DLC will be free, although originally it was going to be part of the game’s Season Pass. And to further appease angry fans, those who had paid for the Season Pass were offered a free Ubisoft game – among them the rather great Far Cry 4 – although accepting the offer meant that users would not be allowed to sue Ubisoft over Unity. You don’t take freebies and then take the gift-giver to court, do you? While it is true that the Assassin’s Creed Unity experience was marred by a few nasty glitches at launch, some of which were hilarious, most of the game’s problems have been addressed by Ubisoft in a series of patches. So it is probably time for Ubi to stop compensating for Unity’s problems. As a matter of fact Assassin’s Creed Unity was an ambitious game with fabulous graphics, featuring a tale of revenge on a par with Ezio’s story in Assassin’s Creed II. It was amongst 2014’s best games. Perhaps the botched launch was due to Ubi biting more than they could chew – releasing two Assassin’s Creed games in a year, Unity and the rather bland Assassin’s Creed Rogue, was probably too much to handle. Hopefully the forthcoming Assassin’s Creed Victory, which is amongst 2015’s most anticipated games, will make fans fall in love with the series again. And given that the Assassin’s Creed movie won’t be released until December 2016 according to The Hollywood Reporter, we can only hope that Victory lives up to the hype, and is a great entry in the series like Black Flag was in 2013. But in the meantime, exploring the catacombs of Saint Denis in the upcoming Dead Kings DLC will surely make for an entertaining diversion.